Despite his father’s death earlier this year, Sweatshirt did not put his album on hold. After listening to it, some might say he’s underselling the album by giving it a basic name. That’s because these aren’t “some rap songs,” they’re songs with lyrics that tell stories that cover some touchy parts of the rapper’s life. The album begins with “Shattered Dreams,” which hits album’s main theme of isolation and being an outsider. “Red Water” has the rapper looping the same verse over and over with an eerie instrumental in the background. In this track, Sweatshirt wants to illustrate to the listener that his family weighed him down. “Noway2go” touches on the rapper’s depression and thoughts of suicide. It also shows that the rapper has learned to cope with his demons and that money is nice, but he wants someone in his life to celebrate alongside. “December 24” is a look back on Sweatshirt’s life and reminisces about his childhood. “Ontheway!” shows where the rapper shines in his lyricism and his rhymes. 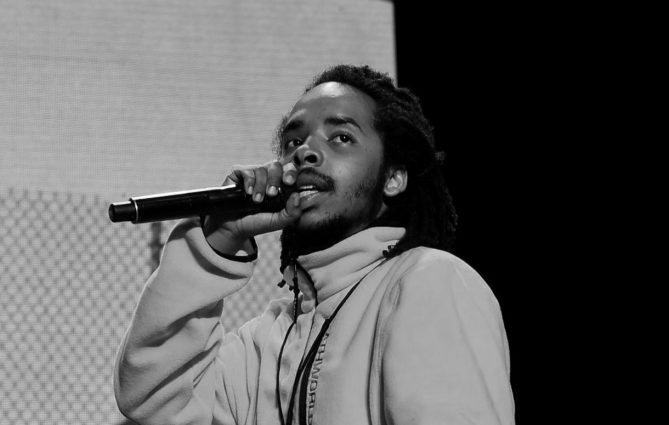 “The Mint,” which features rapper Navy Blue, a Bronx rapper that has collaborated with Sweatshirt, shares the same flow as him. “The Bends” is a message to his crew, that he is with them no matter what. The lyrics, “Tell my Queens, Keep Mace” have Sweatshirt tell his female friends to be prepared with pepper spray. “Loosie” is the shortest song of the album. Sweatshirt targets a certain individual and recounts their quick, and dour separation.In the song, Sweatshirt expresses hatred, disappointment and abandonment for the person. In “Azucar,” Sweatshirt raps about his depression over the past year and the ways he copes with it. He uses drinking and being with friends like underground rappers MIKE and Navy Blue. “Eclipse” shows that he isn’t the same person from his Odd Future days, that he isn’t the “happy sunshine dude” he was back in the day. “Veins” isn’t like his other songs. Sweatshirt sees the beauty in his imperfection and realizes that you must take the good with the bad to grow as a person. In the song “Peanut,” Sweatshirt touches on his depression and his recently deceased father. This track is one of two tracks that he recorded after his father died. “Riot!” is the closing track of “Some Rap Songs” and is entirely instrumental, notably sampling a song of the same name by South African jazz legend and close friend of his father, Hugh Masekela. This last track was recorded after the death of his father. “Some Rap Songs” can be streamed on Spotify and Apple Music.